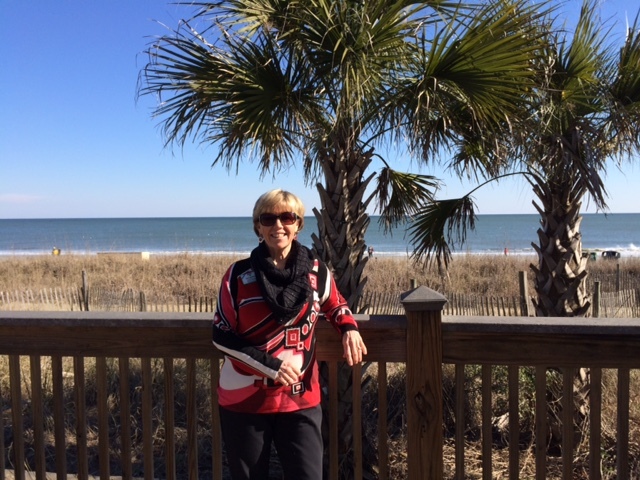 This was our first trip to South Carolina and we were expecting to bask in the warmth of the southeast during what is often the coldest time of the year back home in Minnesota/North Dakota. Well, this time, the cold weather followed us and we experienced what the locals in South Carolina described as the coldest weekend of the winter thus far! 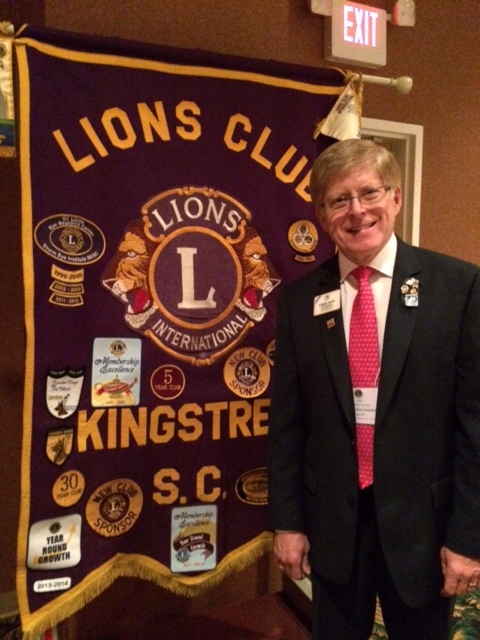 ID Robert with the Kingstree Club banner, home of District Governor Bob Cherinko. Despite the cooler climate, the warmth of the Lions of District 32-C was enough to melt away any doubt that we would have a wonderful weekend in North Myrtle Beach. PID Eugene Spiess and other Lion leaders were on hand to welcome us at the airport. PID Spiess is a remarkable and dedicated Lion who is revered by the Lions of South Carolina. It was an honor to spend time with him this weekend. 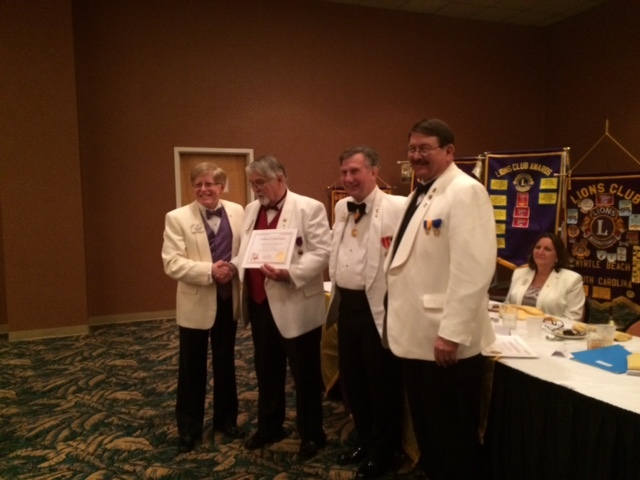 ID Robert with Convention Chair PDG Randy Croom, PID Eugene Spiess, and DG Bob Cherinko. 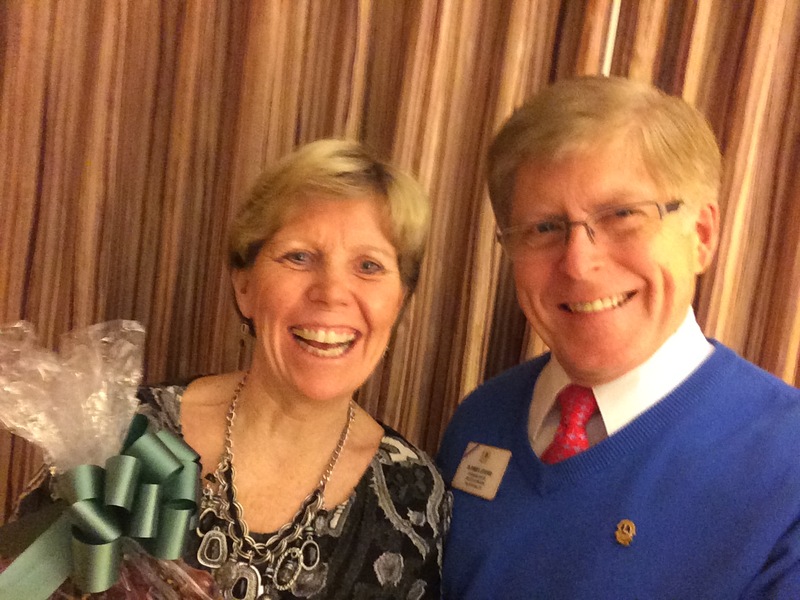 We also enjoyed meeting District Governor Bob and Judy Cherinko. Their son and his family came to the banquet and we had an opportunity to meet his grandsons who are very close in age to our own grandsons. They were so gracious and kind to us, driving us to and from the airport. The District Lions provided us with a lovely fruit basket. 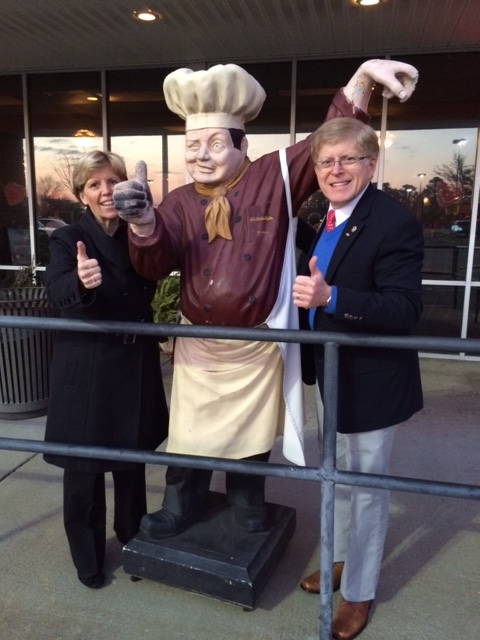 We enjoyed a great meal with District leadership before returning to the “Wheel of Fortune” games night activities. 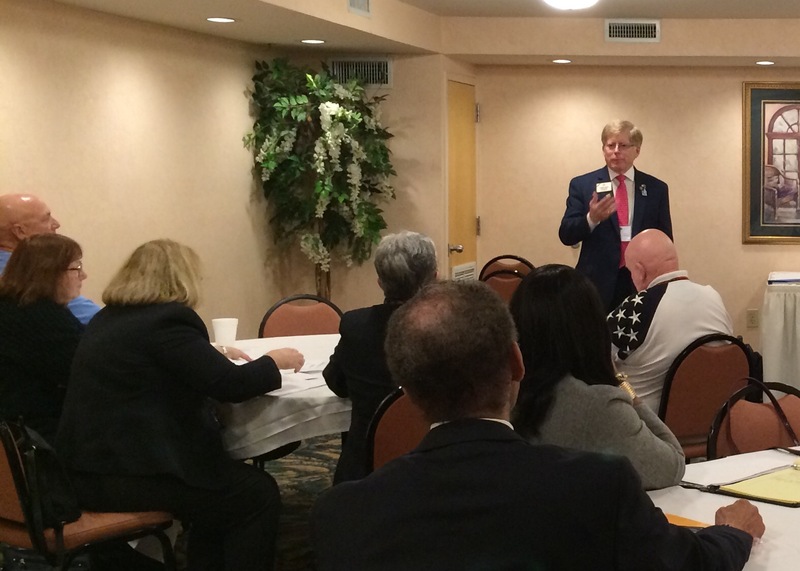 On Saturday, we had many opportunities to meet and speak with the Lions of South Carolina. First, we attended the MD 32 Council of Governors’ meeting where we met the District leaders and I share information from the LCI Board of Directors about the new program to support districts going through consolidation, as well as the LCI Forward strategic planning process. 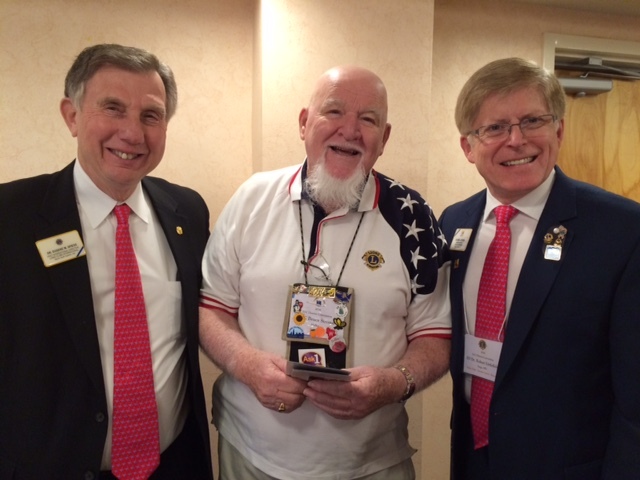 We were especially pleased to meet one of the three Lions with perfect attendance at the USA/Canada Forum, Lion Bruce Strome, from McBee Lions Club in South Carolina. There were many programs for the Lions to attend and I presented a session about the new Membership 2.0 initiative sponsored by the LCI Board of Directors to mobilize Lions in North America (particularly Constitutional Area I) to take specific steps to increase membership. ID Robert had several opportunities to discuss LCI initiatives and answer questions with SC Lions. The awards luncheon recognized the District Peace Poster Contest winner and the Franklin G. Mason South Carolina Foundation Award recipients. 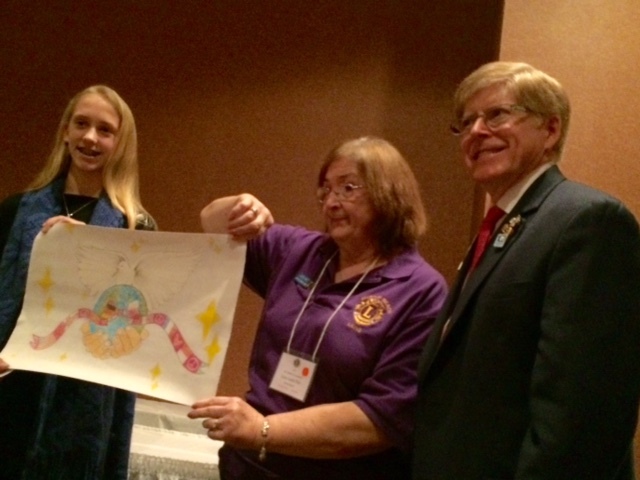 The Peace Poster Contest winner with District Peace Poster Contest chairperson. The luncheon gave Lion Kathy and me the opportunity to promote the Lions Clubs International Foundation and its programs. As you know, the One Shot, One Life Measles Initiative has been our personal cause over these past two years and the Lions of South Carolina didn’t let us down this weekend. They donated $1700.00 and with the GAVI match, saved 3400 lives by providing funds to support the measles vaccination program. We continue to be overwhelmed by the level of support we receive from Lions when they hear us share our passion for the program. While cool for the local residents, Lion Kathy took advantage of the beautiful day to walk along the boardwalk by the ocean. 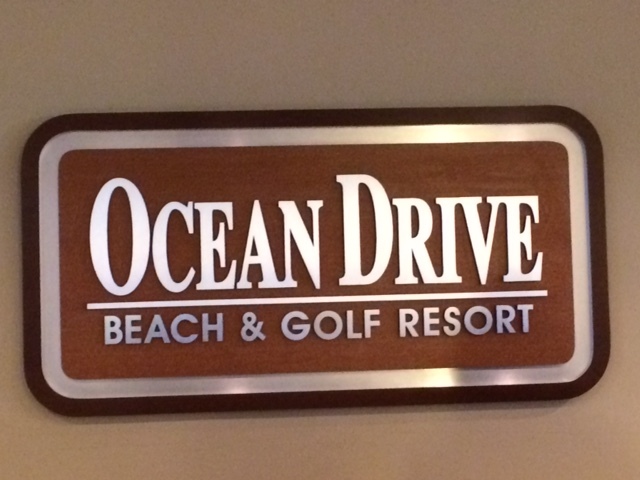 Kathy had an opportunity to tour the Myrtle Beach area and found some treasures to bring home from Bearfoot Landing. They drove along the shore and had an opportunity to walk along the beach. 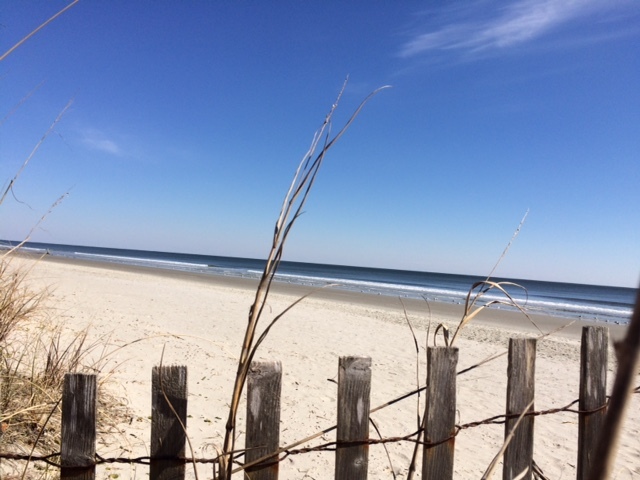 Kathy saw the area of the beach designated as the sea turtle protected nesting area. At the District Meeting, I discussed the Centennial Legacy Projects and took questions from the Lions on topics ranging from redistricting to public relations to the changes prompted by the reintroduction of the 3rd International Vice President. It was a great opportunity to provide information to the Lions who were eager to ask questions about the future of Lionism. ID Robert shares the message of dignity, harmony, and humanity with the dinner attendees. The day culminated with the banquet where I had an opportunity to share the importance of Dr. Yamada’s theme—Dignity, Harmony, Humanity—and to present Presidential Certificates of Appreciation to PDG Matt Jones, PDG David “Randy” Croom, and PDG David “Randy” Edwards. We also presented our friendship banners and North Dakota gifts. 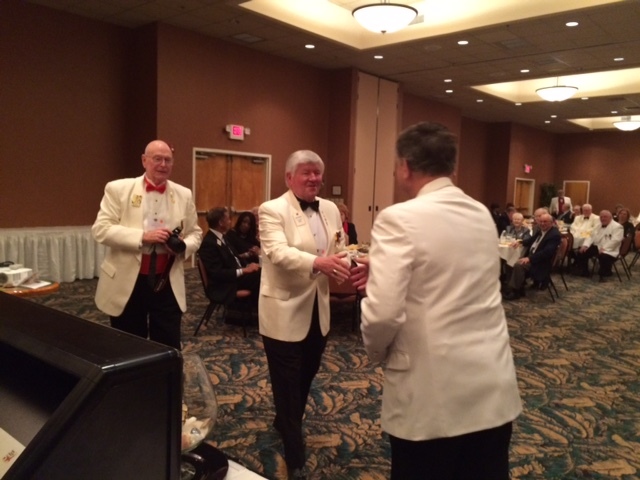 PDG Randy Edwards receives congratulations from District Governor Bob. 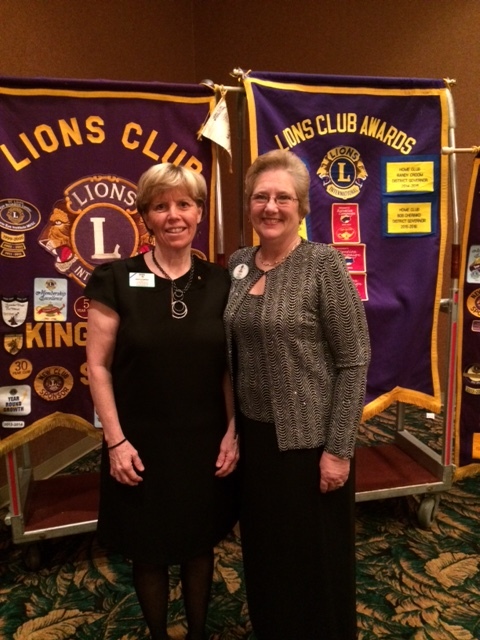 Lion Kathy with Judy Cherinko at the banquet. 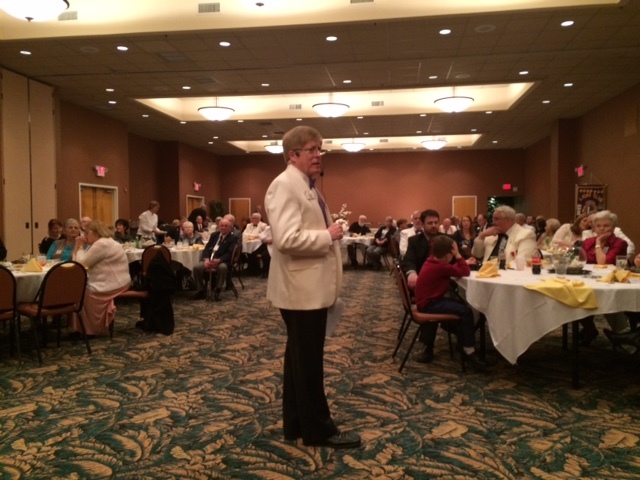 On Sunday morning, we joined the Cherinko’s and PID Spiess at Our Lady Star of the Sea Catholic Church. After a quick breakfast, we were back to the airport and on our way back North. Reflecting on the weekend, we felt so welcomed and appreciated by the Lions who attended the convention. The presence of all of the other South Carolina District Governors and Vice District Governors to support DG Bob at his convention was very impressive. 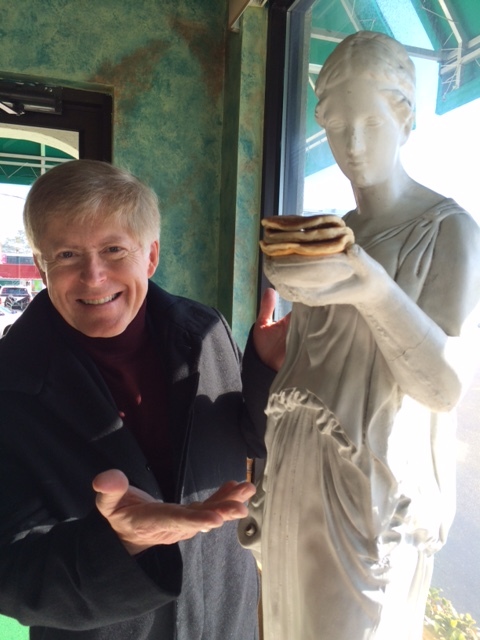 We certainly enjoyed the southern hospitality and charm of South Carolina. 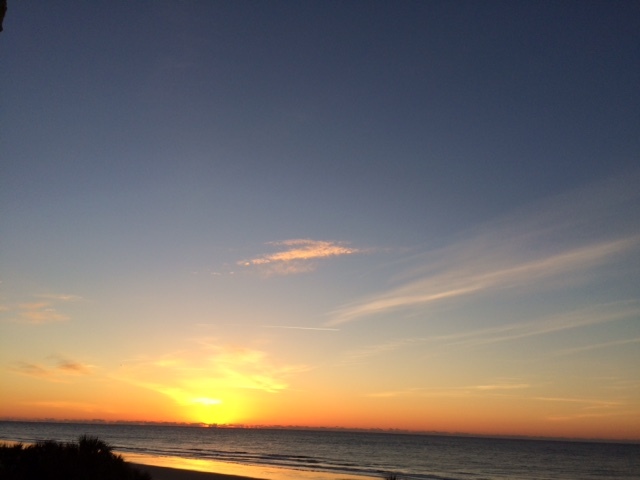 The rising sun on the ocean . . . a sight worth getting used to! Next week, we are traveling to Portland, Oregon. The weeks fly by, but the people we meet make each convention and visit memorable for us. We wish everyone a Happy Valentine’s Day and best wishes to all who serve.